Ann Arbor, Michigan, is fun to visit for the excellent restaurants, charming downtown, unique hotels and fun year-round events. But it’s an added bonus when touring the University of Michigan, and for families with a student at this top college, a reason to visit more often. 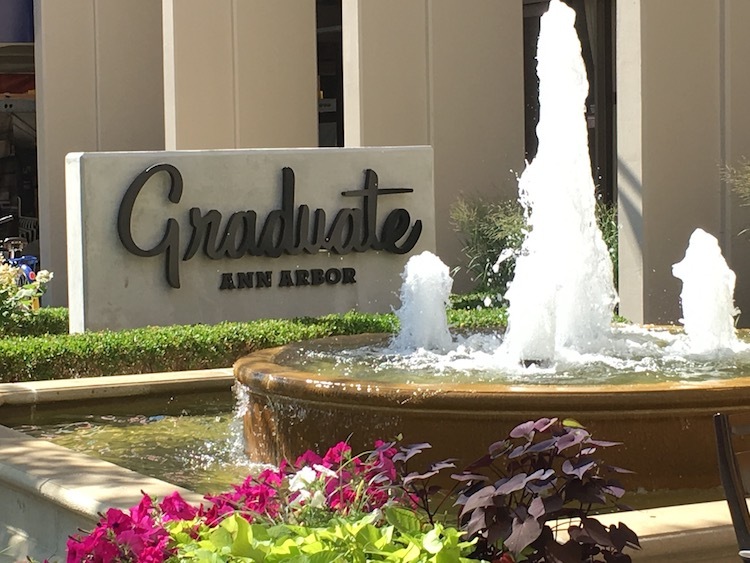 Get the best out of your visit by knowing what to do in Ann Arbor. College towns can be much more fun for students than for parents—usually. Our tours over the last few years have included more two-star motels and fast food drive-thrus than I can stomach. I’d sigh with relief when my daughter crossed those colleges off her list. 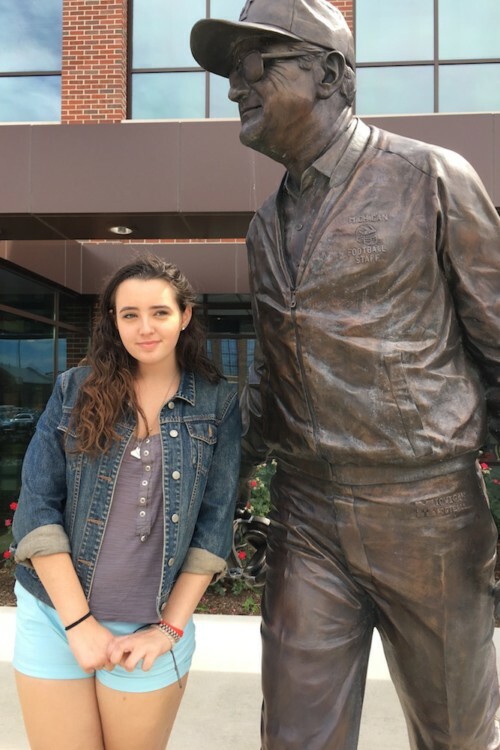 So we were really happy when our younger daughter asked to tour the University of Michigan. We would get to spend time in Ann Arbor! This charming slice of Americana is just 45 minutes west of Detroit and is home to one of the top universities in the country. But it’s also a popular Detroit suburb where many auto industry executives live and where a growing number of tech startups call home, adding a modern, sophisticated edge to the local business community. The UM campus mingles with downtown Ann Arbor, providing walkable shopping and restaurants near the campus. All offer a wide range of affordability, from 5-star to budget-friendly. Shops run the spectrum from national chains to vintage clothing stores to local favorites, such as Moose Jaw, which specializes in outdoor adventure apparel and luxury goods retailer Shinola, which was started in Detroit. Don’t you hate it when you visit a charming city or have a tour appointment and can’t find a place to park? Not in Ann Arbor. This town has probably the best public parking ever. There are dozens of parking garages, some under ground, as well as metered street parking, all over town. Rates are $1.20 an hour for garage parking and $1.60 an hour for street parking. All lots and meters accept credit cards. For longer parking, choose from overnight, short stay and long term parking options. We never had to park more than a block or two from our destination. When we toured the college we parked right in front of the building. However, it’s great to be able to check into your hotel and not see your car again until you leave. There are a few downtown hotels close to the UM campus so you can check in, park and then walk or Uber everywhere you need to go. If you want to stay downtown, book early. Among the downtown hotels are the Belltower, Residence Inn by Marriott and The Graduate, a boutique chain of cleverly crafted hotels (rates from about $180 per night). We didn’t stay at the Ann Arbor location, though we did stay at their Athens, Georgia location when we toured the University of Georgia. The Graduate takes you back to the iconic and nostalgic era of the Mike Nichols/Dustin Hoffman/Anne Bancroft coming-of-age movie, with familiar decor and comfort food to put you at ease, all set in a luxurious and convenient environment. We found our experience to be not only excellent but incredibly fun as well. During our stay, we visited two hotels: the Kensington Hotel and Weber’s Inn, both with rates starting at about $110 a night. The Kensington Hotel is a newly renovated luxury property just off I-94 a few miles from campus. 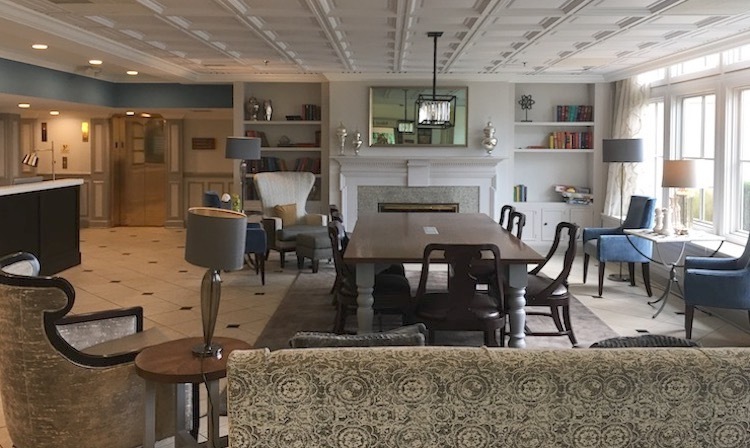 The hotel has recently undergone a $3.5 million renovation of its public spaces and restaurant, and its 200 rooms, which are comfortably appointed, will be next. The renovation gave this mid-century building an elegant new look and feel, with classic decor and inviting public areas. The lobby included a large communal table, elegant seating areas, garden with a fire pit, and lounge seating for evening cocktails. One caveat, however, is that the hallway, guest room, and bathroom ceilings are low. Comfortable for those of average height but overly tall guests may find this a challenge. The lobby features fresh-brewed coffee service every morning and was a great place to hang out with my laptop while my family slept. 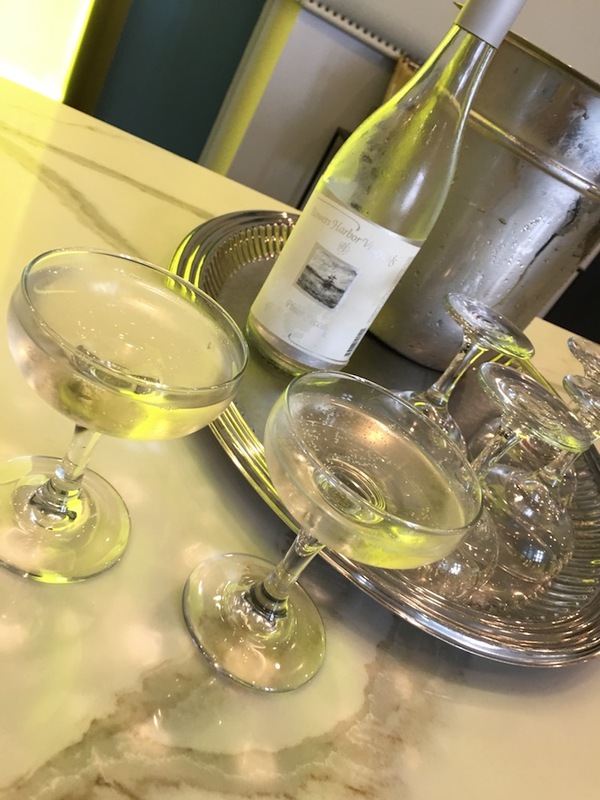 And in the afternoon, the desk staff serves Bowers Harbor Vineyards Pinot Secco, a sparkling wine from Harbor Springs, Michigan, to guests checking in. The Kensington’s restaurant, called Relish, was also recently renovated. 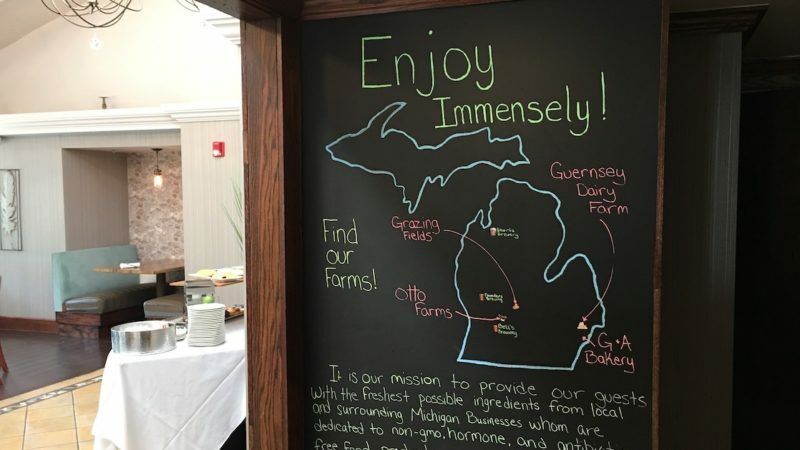 The comfortable space brings local authenticity to its menu, filled with locally sourced foods and familiar offerings such as barbecued chicken pizza with local peaches and a chicken salad featuring Michigan Cherries. The Kensington is the hotel of choice for many of the University’s official events such as student orientation; new students and their parents can register for this package at $85 per night which includes breakfast and a shuttle to campus. It’s also popular for visitors during football season. The campus shuttle to the stadium picks up at the Kensington, which offers tailgating for guests before the game. We have stayed at Weber’s Inn in the past with our kids and always love this family-owned boutique hotel. A mainstay in Ann Arbor since 1937, recent renovations have added updated, modern rooms. This mini-resort also features a restaurant and bar with live music, garden areas and an indoor resort-type pool. You can ask for a room that opens to the pool and in the winter, swim, play and relax around the pool. Even when outdoor temperatures are sub-zero this is fun and something locals are known to do in the winter. Michigan is known for two things: The auto industry and farming. That means really great farm-to-table restaurants featuring fresh and inventive dishes. Probably the most famous eatery is Zingerman’s. 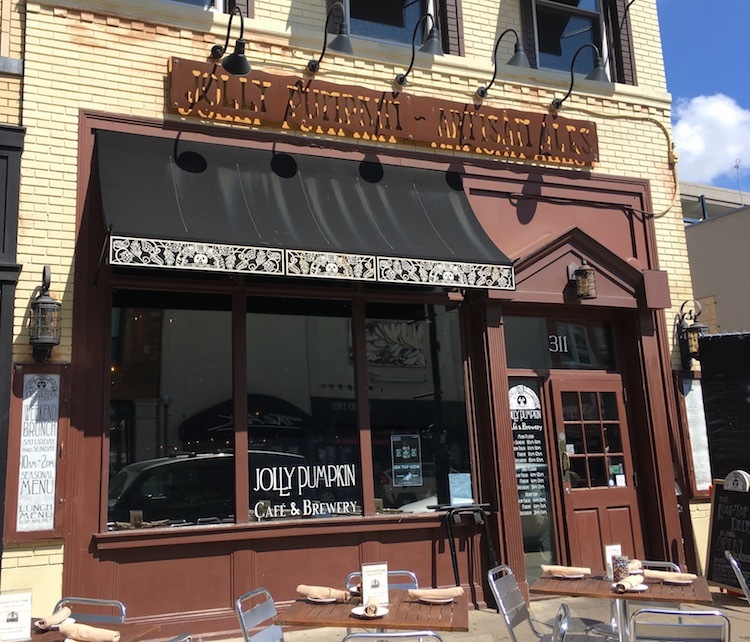 This kingdom of food includes Zingerman’s Roadhouse, a full-service restaurant just down the street from Weber’s, and the original Zingerman’s Deli in historic Kerrytown. The deli features house made specialties, local and imported goods and of course, an excellent ice cream shop.